From Neath to Nashville, Tennessee & Beyond, TCRM are proud to develop and build web sites that excel in quality and value for money. Take a look at our portfolio and you will see we have the credentials to supply the site you always needed. If you prefer you can contact us and we will put you in touch with our many satisfied customers. A quick phone call may mean an end to your web worries. Hosted on our own servers in professional data centres. 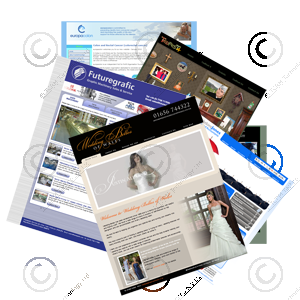 We deliver excellent quality web sites at an affordable cost, whatever you need we can provide, take the time to look at some sites in our portfolio and make your own mind up. A website is the essential business marketing tool, and will only achieve your goals, if it is designed and programmed to a high standard. A standard that we can offer, please contact us on +44 (0)1656 655669 for an appointment or click here to e-mail us, giving us information on your project. TCRM is based in Bridgend, South Wales but we can help where ever you are. If your in Swansea, Newport, Pontrieux in Brittany or Austin in Texas like some of our customers, we can provide the service you need. A call to TCRM on +44 (0)1656 655669 may make your life easier and ensure your Web Design works for you.